Is it worth it to the NCAA to add esports under it's umbrella? Is it worth it to the NCAA to include esports under its umbrella? Esports is a near billion dollar industry that has gained global popularity and is spreading into high schools and colleges. However, the NCAA is not on the edge of its seat in anticipation of taking it under control. Esports is a booming business that, if applied to the NCAA, would change how a segment of youth would prepare to go to college. 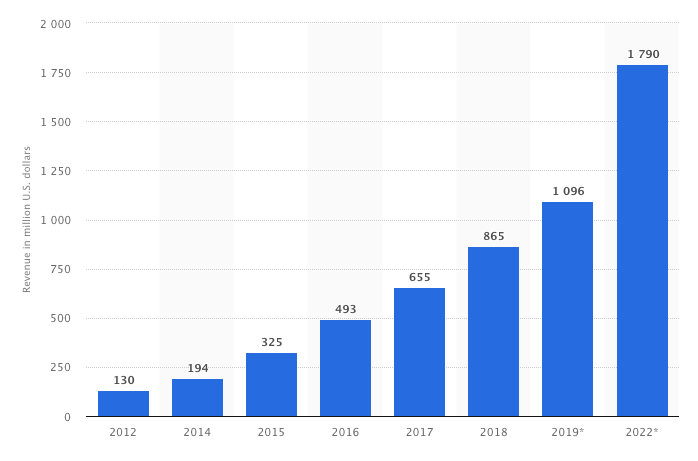 After esports revenue grew to $869 million in 2018, it is expected to rise to $1.65 billion by 2021, making the market for collegiate esports more desirable and profitable. Since 2014, the National Association of Collegiate Esports (NACE) has overseen the creation of more than 115 collegiate programs across several divisions of schools. Between the U.S. and Canada, as many as 200 schools are offering upward of $15 million in scholarships for esports athletes. That does not take into account the money university teams can win in tournament prizes. In fact, at the Wichita Sports Convention in 2018, the Midwest League of Legends tournament featured a $20,000 prize pool and semi-pro teams competing against collegiate teams from Robert Morris University, Columbia College (Missouri) and Maryville University. Though esports is in the early stages of its development as a collegiate sport, NACE and its national partners have given gamers and schools the ability to grow. Schools also could benefit from consistent viewership, on both a global and local scale, from the much-desired 18-25 year old demographic. On average, young gamers (age 18-25) worldwide spend an average of 3 hours and 25 minutes each week watching other people play video games online — nearly an hour more than the 2:33 they spend watching traditional sports. Americans still watch more traditional sports on TV, an average of 3:18 per week. However, NCAA amateur rules are keeping esports from charging fully into the collegiate realm, which is slowing its growth. The problem is the set-up of both esports and the NCAA. Esports athletes can compete with professionals, a significant difference from the NCAA’s traditional standard of player conduct. In addition, esports would need more female participants in order to comply with the Title IX gender equality guidelines colleges must abide by. While an estimated 45 percent of U.S. gamers are female, toxicity barriers within the gaming community contribute to keeping females from taking part in organized leagues or sponsored competitions. In terms of being a part of the esports business, the feeling is mutual — women get the short end of the stick — and the bigger esports has grown the more obvious that status has become. But the NCAA has shown interest in the expanding market. Officials have discussed potential sponsorships with championship events for esports athletes. Although the extent of the NCAA’s research hasn’t given any clear indication of how soon we could see esports fully sanctioned. 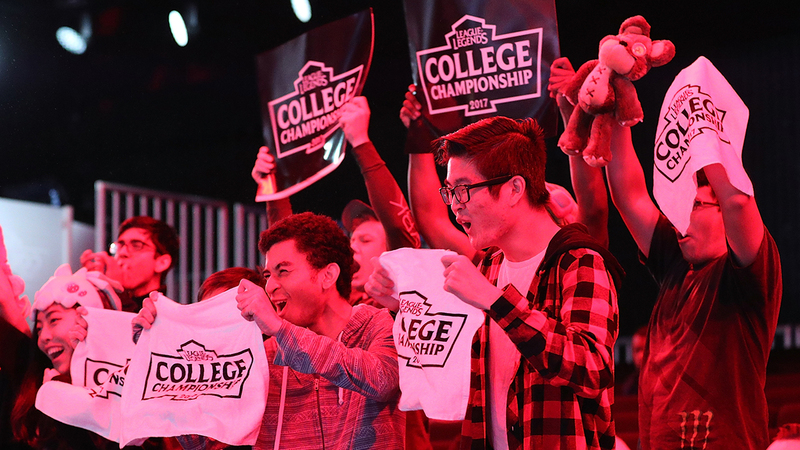 “The research will play a key role in better defining the current college esports landscape, including participation levels, leadership structure and potential areas of growth,” The NCAA said in a prepared statement to Sports Business Journal. Marquette announced in January it would field a varsity esports program as part of its athletic department starting in the fall of 2019, becoming the first major Division I institution to take the step. Even with these concerns, esports continues to gain global traction. The International esports Federation (IeSF) is in deep talks with the organizers of the Paris 2024 Olympic Games about possibly having a demonstration event during the games. While esports scrutiny continues, the numbers make it a viable addition to any platform. Given the adaptations are clear-cut but the room for compromise between the NCAA and esports is narrow, years could pass before a plan is put in action.